Yantis with its fleet of new rock trenchers and millers is able to perform trenching for utilities and mass rock excavation. Yantis can trench any size sewer, water, storm drain, and dry electric conduit where the rock requires it. Yantis can trench sewer as deep as 22 feet without having to bench. Yantis Company equipment produces material that is acceptable for most commercial building sites and serves as perfect fill for roadways or single family lots. 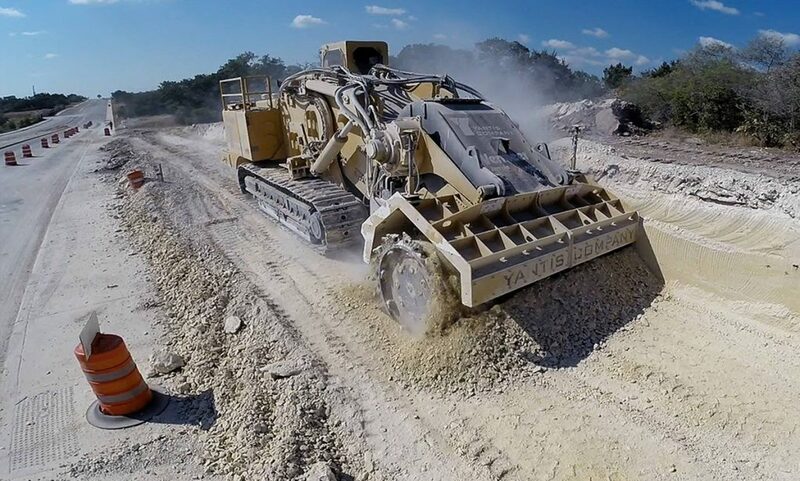 Yantis will utilize its machines as part of a turnkey civil project or is available to price this work to developers, general contractors, or other civil contractors as a standalone service.